Whether out running, on the train to work or just hanging out at home, Beoplay H5 earphones deliver outstanding Bang & Olufsen Signature Sound which changes profile to suit your current activity. Combined with the elegant splash and dust proof design, Beoplay H5 brings the beauty of music into your active everyday life. 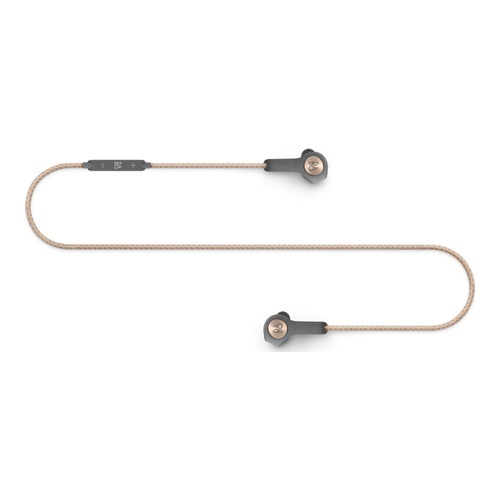 When you are not using them, you can wear them around your neck - simply clicking the magnets on the earphones together powers Beoplay H5 down to save battery. When you do need to recharge, the magnetic charging cube is easy to use and quick to charge.